Ready to get started with a step-by-step marketing plan? Grab your FREE Etsy Marketing Roadmap below! Fed up trying every Etsy marketing "tip" and "trick" out there and still hearing more *crickets* than *cha-chings*? You're in the right place, my friend! "After taking the Mastermind Your Marketing course, I made the most money ever on Etsy for July and August, which included one of my big-time, long-term financial goals. ($4,000/month!) And I’m on track to do the same in September...!" "I enrolled in Mastermind Your Marketing in May 2017, opened my shop in July, and hit $8.6k in monthly sales in September...and I literally knew NOTHING before I started..."
So what are you waiting for? Grab your FREE marketing system roadmap below! GRAB YOUR FREE ROADMAP HERE! And that roadmap you're about to download? It's the EXACT step-by-step system I teach inside my signature program, Mastermind Your Marketing. This step-by-step formula has been used by myself, over 500+ Mastermind Your Marketing students, and dozens of private coaching clients to successfully take the guesswork out of marketing your shop on Etsy-- I'll tell you EXACTLY what to do and in the EXACT order you need to do it. 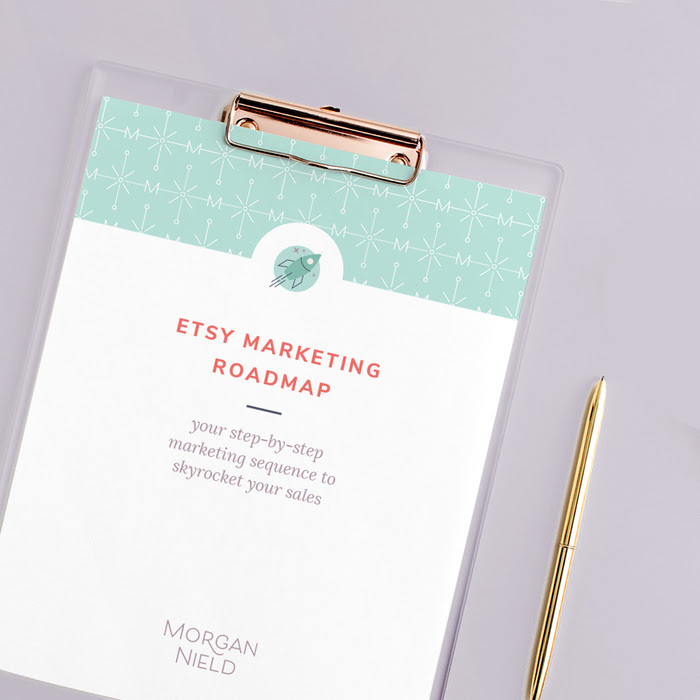 Ready to finally stop guessing your way through marketing your Etsy shop and get a step-by-step roadmap plan? Grab your FREE marketing roadmap below!